By this time, most of the NYMR line had been singled but a loop was left in place at Ellerbeck by the old Summit Signal Cabin - this was to be the intended terminus of the line and the limit of operation for the open weekend. 63395 has run round its train and is now passing the derelict Cabin as it approaches the stock. 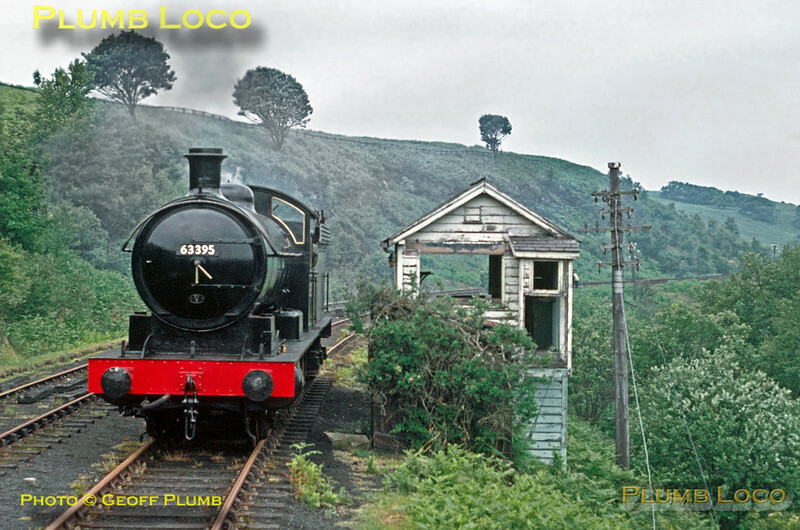 Later, the line was able to reach Pickering and the loop here was dismantled, as was the signal cabin. The remains of this can still be seen, however. Sunday 28th June 1970. Slide No. 5214.